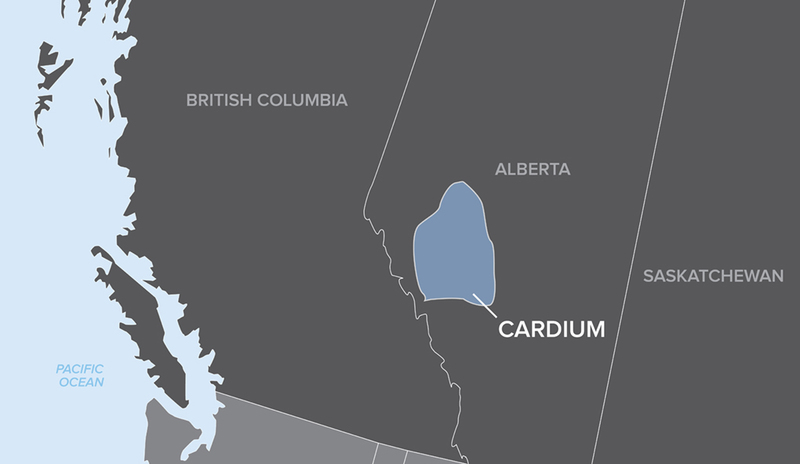 Extending laterally across west-central Alberta, the Cardium formation deposits vary from siltstone to fine-grained sandstone and thick shale. More than 3,900 horizontal wells have been completed in the formation since horizontal drilling and multi-stage completion techniques became prevalent in 2009. These methods have continued to advance, enabling operators to increase stage counts, fluid volumes and proppant. Although completing horizontal wells has expanded production to the poorer quality areas with the formation, operators have experienced steep production rate declines in these parts of the Cardium. An operator in the Cardium formation’s Pembina field wanted to increase production from a cemented liner well that was originally completed in 2009. Following the initial stimulation, monthly production averaged 1,730 BOE over the first 10 months and then tapered off until the well was shut in. After 4 months of no production, the well was brought back online and experienced a jump in monthly production. Shortly thereafter production quickly went back down again, prompting the operator to restimulate the well. The operator decided to use the StackFRAC® Slimhole system to restimulate the well. The Slimhole system was developed with the same operational efficiency as the field-proven StackFRAC system; however, the Slimhole system was specifically designed for applications that require a smaller liner outside diameter, such as re-entry into existing wells. The 11-stage completion system was run on a 3.5-in. liner and the FracPORT™ sleeves were lined up with the 8 existing stages and 3 new perforation clusters shot in the original casing. This increased the number of access points to the reservoir along the 730 m lateral. Four years after initial completion, the successful refrac using the StackFRAC Slimhole system resulted in a production increase of 50%. During the refrac, the operator pumped 163 tonnes of proppant and 1,262 m3 of fluid, reaching a maximum pump rate of 5.6 m3 per minute and a treating pressure of 59 MPa. 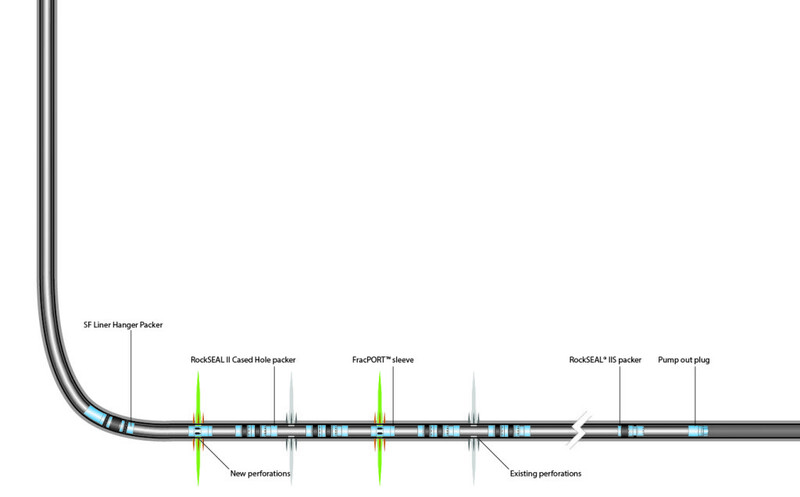 All 11-stages of the newly installed Slimhole system were stimulated successfully. By using Packers Plus technology, the operator was able to stimulate the well with proppant volumes at pump rates consistent with today’s stimulation operations. Figure 1 shows the 5-month pre-restimulation and post-restimulation average monthly BOE production rates. The StackFRAC Slimhole system comes in different liner sizes for re-entering vertical or horizontal wells. Well solutions are customized based on operator requirements and can be adapted based on changing industry demand.